On the night of April 25, 1962 the Ibrox faithful beat the retreat from Pittodrie looking none too pleased. Rangers had gone down 1-0 to Aberdeen, thus leaving the way clear for Dundee to clinch the league title three days later. But while the Rangers fans headed homeward with their tails between their legs, back in the Granite City one young Rangers fan was over the moon. He was none other than 15 year old Colin Jackson who, at the local Caledonian Hotel, had just put pen to paper for the Club he supported. Who, in even his wildest dreams, could have forecast what a telling acquisition the big defender would prove to be? Rangers had beaten off considerable competition in the race for the Bomber-to-be's signature. Liverpool, Spurs, Manchester United, Leeds United and, whisper it, Celtic, were all in contention but, as Colin recalled, once the Light Blues made their move it was game, set and match to the 'Gers. "I was with Sunnybank at the time," he remembered, "and we were in a class of our own in Aberdeen juvenile football. We even went through a full season without dropping a single point so it is hardly surprising that scouts were regularly turning up at our games. Several inquiries were made about me and Manchester United actually took me down to Old Trafford for a few weeks during the school holidays. I was sufficiently impressed by the United set-up to consider joining them but, just when I thought I'd made my mind up, along came Rangers and, being a Rangers supporter, I couldn't sign quick enough." And so, on that bitter/sweet night, Colin took his first step along what proved to be a long and winding road to glory. After continuing his studies at school for a further year, a young Jackson joined the full-time staff at Ibrox and began to learn his trade in the company of such illustrious players as Baxter, Henderson, Jimmy Millar and Ralph Brand, and his early days provided him with so many fond memories. "There were so many characters in the dressing room at that time. Not a day went past without somebody being the victim of one of the wide mens' sense of humour and things like shoes being nailed to the floor and clothes going missing were regular occurrences." On one occasion, however, a joke backfired on a leading prankster and Colin laughs heartily as he recalls the day wee Willie Henderson got his come-uppance. "Alex Willoughby was always immaculately dressed and his pride and joy was a camel hair coat. He used to spend ages admiring it in front of the mirror. But one day he returned from training to find the coat missing from the peg. You should have seen his face when he went into the showers to find wee Willie having a good soak dressed in the camel hair coat. I suppose a lot of people would have lost their temper there and then but Alex just walked out without saying a word. Then two minutes later he returned, dressed in every stitch of the wee man's gear, so you can picture the scene, two men dressed to kill standing under a shower." Amidst all the hilarity, however, Colin was hard at work brushing up on his game but, with Ronnie McKinnon firmly established as the number one centre half for both Rangers and Scotland – he had to content himself with reserve team football for a considerable length of time. Second team honours flowed fast and furious in the big defenders direction but his only brushes with top team recognition came when McKinnon picked up an injury, a rare occurrence, and when he was drafted into the right back position at the start of the 1968/69 term. The breakthrough into the first XI appeared as far away as ever. "It was certainly frustrating to be so near and yet so far but in retrospect, I realise I wasn't really ready for regular first team football and all the time I spent in the reserves turned out to be to my long term benefit." 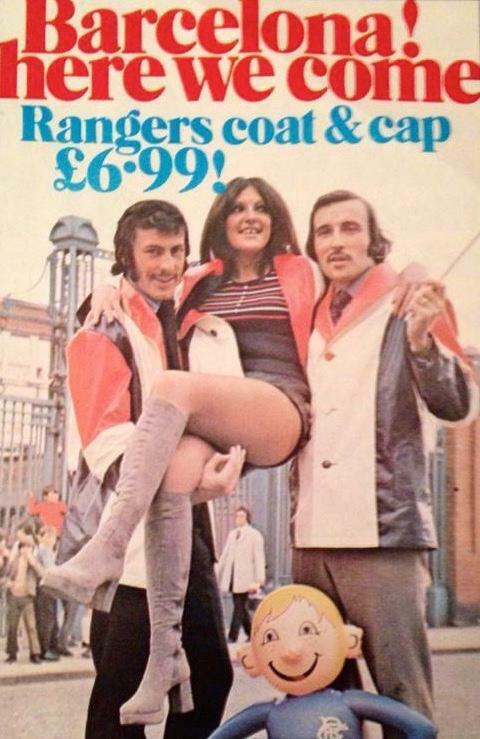 Colin reaped the benefit of his extended apprenticeship soon after Willie Waddell's appointment as Rangers manager. It was Waddell who saw Jackson not as an alternative to Ronnie McKinnon but as a partner for the international defender and Bomber soon began to enjoy top level success. 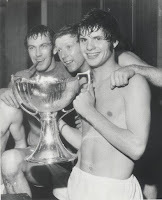 The League Cup triumph of 1970 broke Rangers four year trophy famine but, with all the attention featuring on 16 year old Derek Johnstone's winning goal, the resolute defensive play of the McKinnon-Jackson partnership was overlooked by many. It was the Ibrox defensive duo who stifled the threat of Willie Wallace and Lou Macari as Celtic roared forward in the second half and when Macari knocked the ball past Peter McCloy late in the game it was Bomber who cleared as the Celt's effort creeped towards goal. Having broken the trophy 'duck' Ibrox morale was sky high and Colin was recognised as one of the best stoppers in the game. Certainly he gave opposing strikers a hard time of it, regularly stepping in with a crucial tackle when a goal looked imminent. 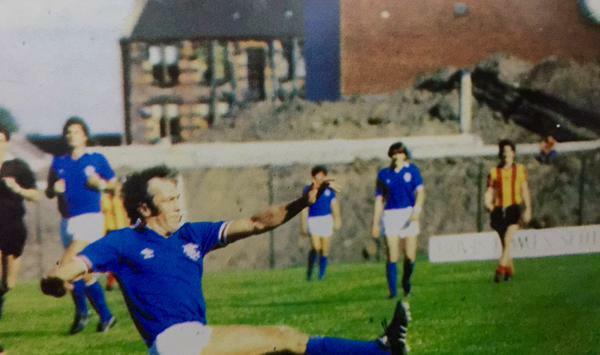 It's safe to assume that the prospect of playing against the big Ranger was one which few relished. Opposition fans also found Jackson to be a less than charitable opponent and one amusing incident which illustrates their frustration occurred at Cappielow when Bomber was giving the home strikers a lot less of the ball then the Greenock punters would have liked. Midway through the second half a dog strayed onto the pitch and play was halted as players, officials and police tried in vain to catch the puzzled pet. With Rangers leading, the delay undoubtedly annoyed the home support and one irate fan yelled a priceless solution to the problem: "Just chase it down the middle and big Jackson'll kick right oot the park." That was perhaps a little unkind to Colin, but few, if any, would have fancied the dog's chances if it dared stray onto Bombers beat. Ronnie McKinnon's tragic leg break in Lisbon as Rangers marched to the 1972 European Cup Winners Cup Final gave Colin the chance to make the number 5 jersey his own. He grabbed it and he soon proved himself at the highest level. When the Light Blues were drawn against Bayern Munich in the Cup Winners' Cup Semi-Final we were told that a chunky wee guy called Gerd Muller was the man who was going to put paid to the Ibrox club's cup hopes. Jackson hardly gave him a touch of the ball, and with their star striker tucked away in big Bomber's pocket, Bayern's team of superstars were made to look ordinary as the Rangers coasted to a 3-1 aggregate victory. So it was 'Barcelona here we come' for Rangers and thousands of fans and Colin prepared to realise his lifelong ambition of playing in a European Final. It was not to be. An eleventh hour injury sustained in training forced the big man to remain on the sidelines on that glorious night and, although he had done enough to merit a winners' medal, missing out on that game still needled him, as he explained. "The team which won in Barcelona will go down in history as the first Rangers side to win a European trophy and even if I was to get another chance to play in a European Final nothing could be more memorable than that first success." That disappointment was a bitter blow to Jackson and subsequent indifferent form saw him drift in and out of the first eleven. 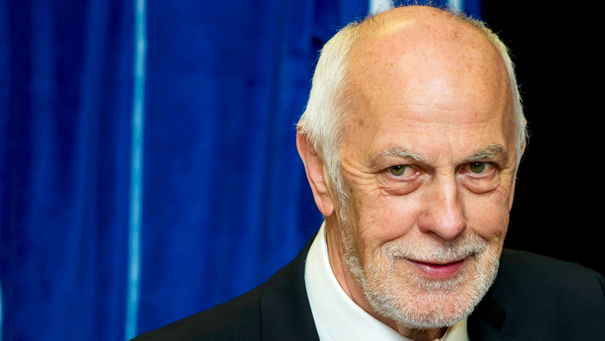 He missed out on the Club's centenary Scottish Cup success, but rather than burst into the manager's office with a transfer request Colin chose to work hard to regain his place at the top and his return to favour coincided with a famous moment in Rangers history, the winning of the League Championship in season 1974/75. And it was only with that initial title success, at 28 years of age, that Colin started to be repaid for all the hard work he had put into his game. The winning goal he scored in Rangers 2-1 win over Celtic at Parkhead early in that season declared the Light Blues championship intentions and, with the exception of a mid-season slump, Rangers romped to the title. "For the first time in a long time we made a good start and although we dropped a few points in the middle of the season we always saw ourselves as the best team in the league. We beat Celtic 3-0 around New Year and that confirmed our opinion and, in the end, we walked away with the flag." That title victory signalled the start of a glory trail in which Bomber would play a huge part. The subsequent treble successes of seasons 1975-76 and 1977-78 are well-known, but one must not allow Bomber's international career to pass unnoticed. 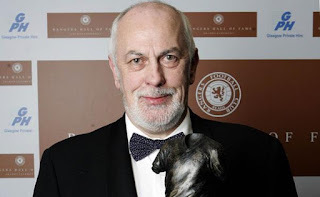 A five-star performer before picking up a bad eye knock in 1975 and a member of the 'Grand Slam' winning team of 1976, he did his country proud, but unfortunately an aggravated injury ruled him out of Rangers plans for a while and ultimately blighted his national aspirations. I've left perhaps his most memorable Rangers moment, certainly in the eye of the fans, to last. 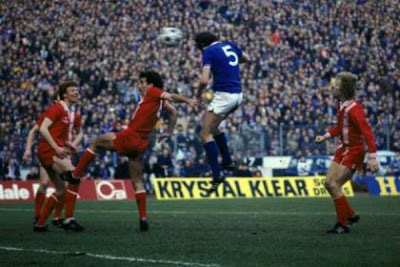 His later-than-late winner against Aberdeen in the League Cup Final in March 1979 might just have been the crowning moment of his Rangers career. The big man appeared late on in the scene to triumphantly head the winner and win Rangers the cup, the stuff of schoolboy dreams which Colin Jackson no doubt had growing up as a Rangers supporter in Aberdeen. If you have a moment, raise a glass to Colin 'Bomber' Jackson, a Ranger of the highest quality who had given his all for our great Club for nearly 20 years, and most certainly merits his place in the Rangers Hall of Fame alongside such Ibrox legends as David Meiklejohn, George Young, Willie Woodburn and John Greig. An outstanding tribute to a man who fully merited it.